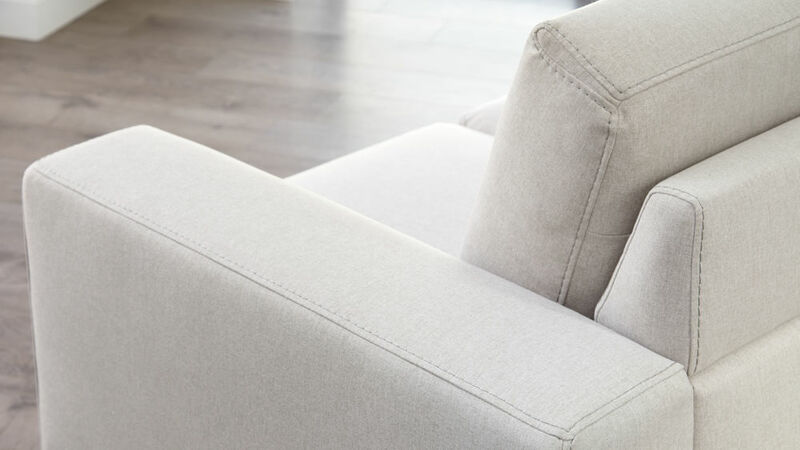 You may have seen pieces similar to the Studio 2 Seater Fabric Sofa already on the market, but with this piece there's one big difference - the quality. 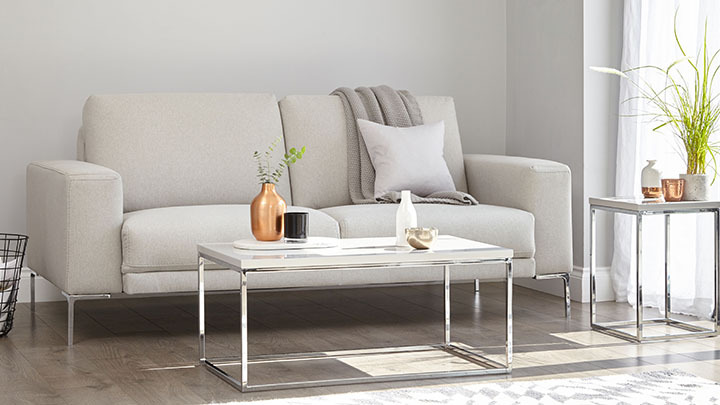 This modern fabric sofa uses the highest quality materials and design of construction to provide you with an effortlessly simple way to create a space to sit down with the family. 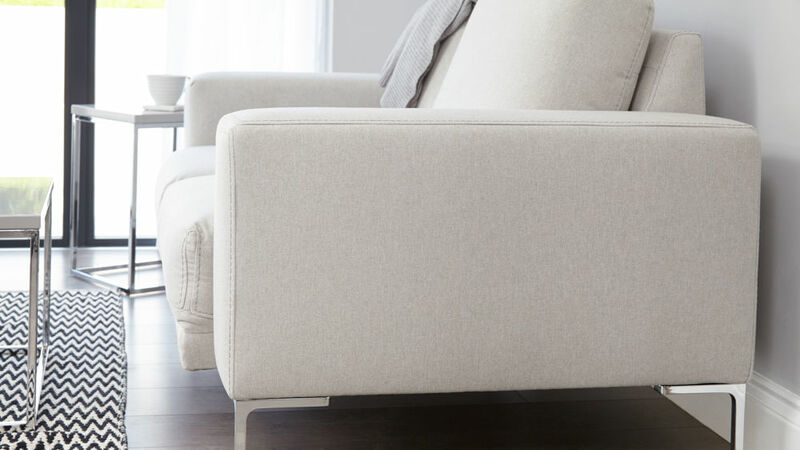 With a neutral and timeless palette to choose from, the Studio 2 Seater Fabric Sofa would look right at home in any interior. 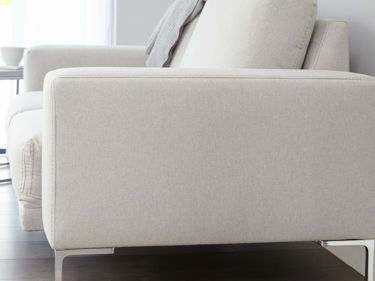 The generous shape and low arms of the Studio gives this sofa such and open and inviting look. This makes it perfect for snuggling up with your feet up. 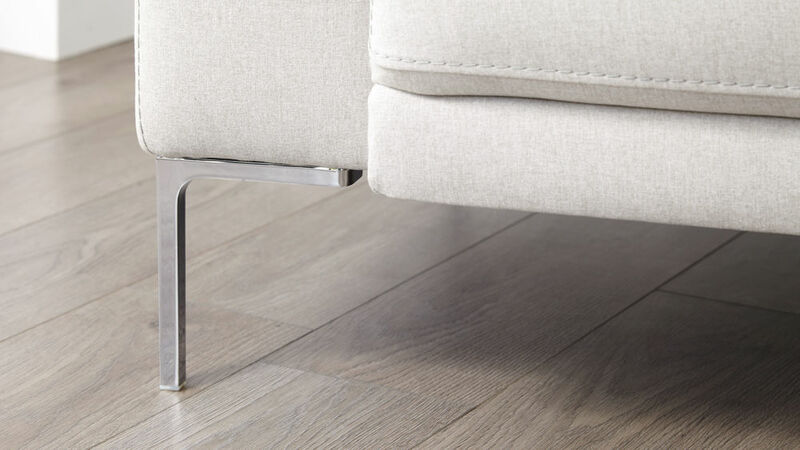 The slim, square shaped chrome legs are a simple but effective way to update the look of this cosy sofa while also beautifully mirroring the Studio's square seat shape. 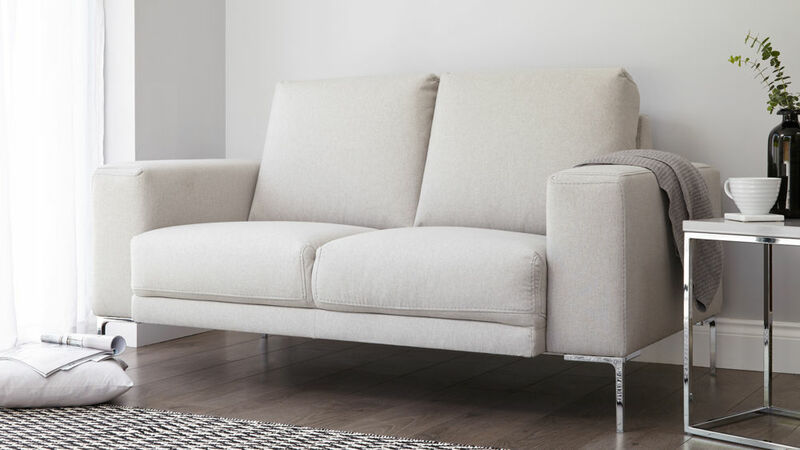 The Studio sofa is a medium sit which means that it still has really good comfort but the construction allows for more recovery so it always looks neat and tidy. 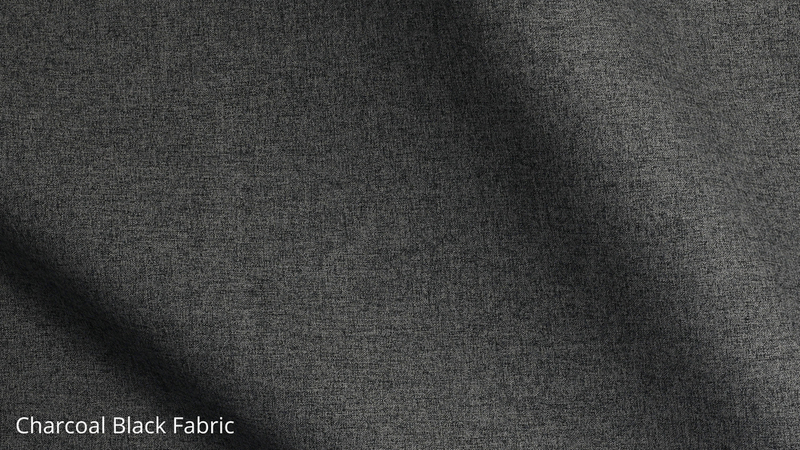 The fabric used for the Studio sofa is a melange which means that lots of shades make up the colour. 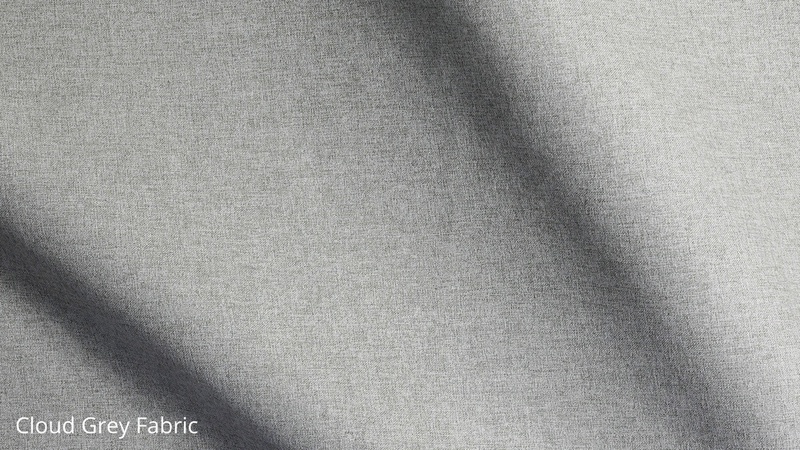 It's a lightly textured fabric with a slightly brushed feel which gives it a wonderful softness. The melange is also incredibly practical as it is less likely to show up marks. 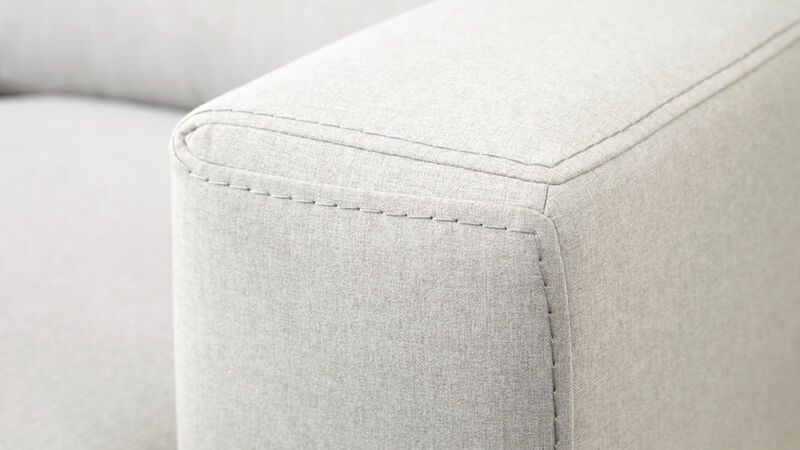 This makes it a great material choice for something used as often as a sofa. 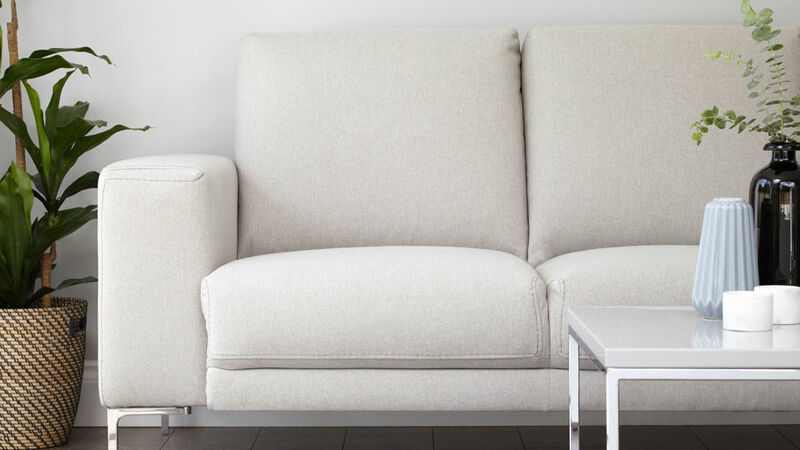 If you wanted to further protect your sofa you could of course apply an anti stain spray. 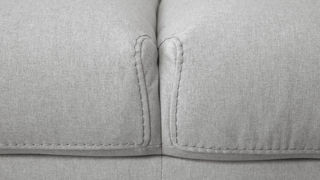 A self-colour stitch detail runs along the edge of each of the sofa cushions and armrests. This is a subtle but really nice touch as it gives the cushions that extra bit of detail. 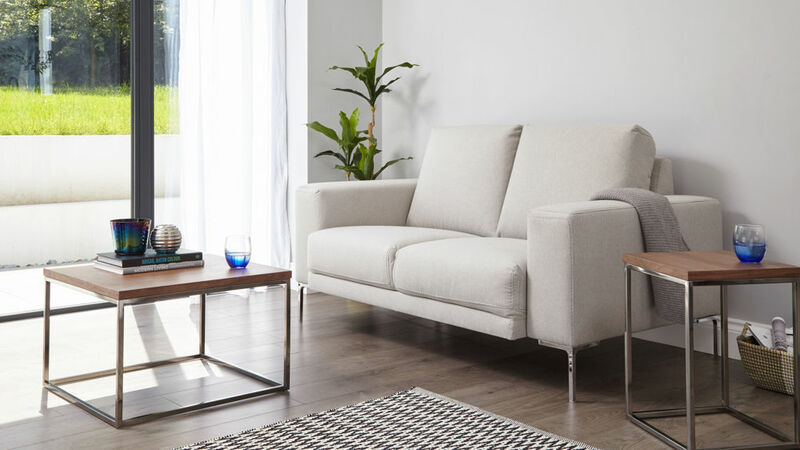 If you like the look of the Studio and want to extend this stylish piece throughout your space, why not take a look at the Studio 3 Seater Fabric Sofa to create a larger yet coordinated seating area.